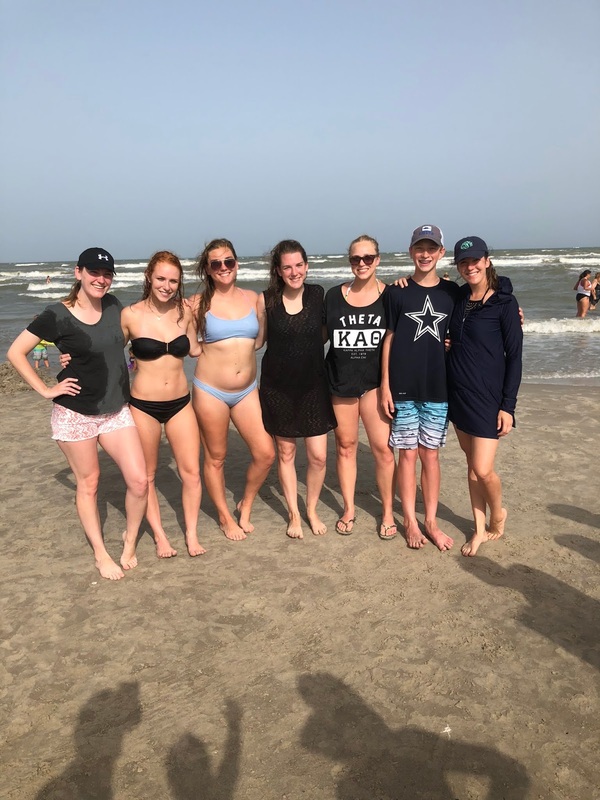 Ever since I was a little girl, my family has been going to Padre Island, TX. 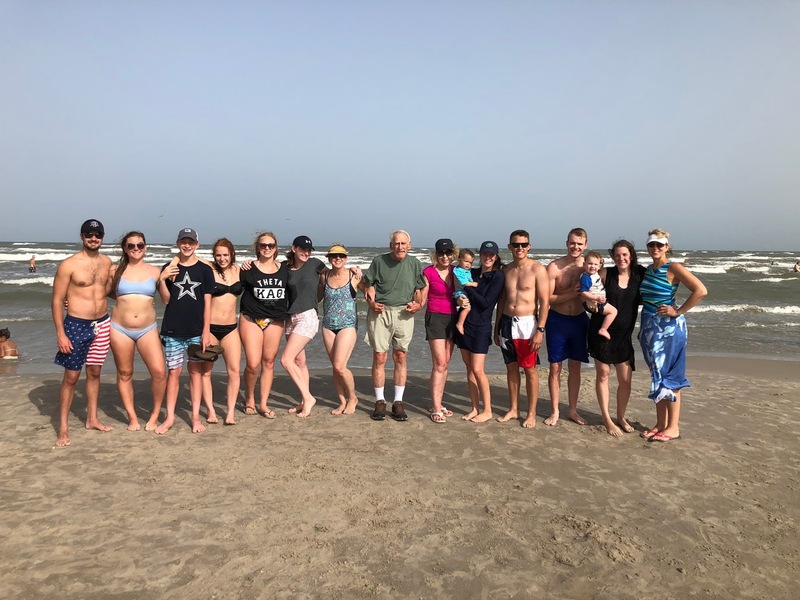 My grandparents, aunt/uncle/cousins, mom, and sisters all set aside a week out of the year to go to the beach, and it is seriously the best. week. ever. It really is my favorite week of the year. I had the amazing blessing of getting to grow up in the same town as my grandparents and cousins, so we are all really close. Now that everyone is geographically more spread out, this beach vacation is all the more special. 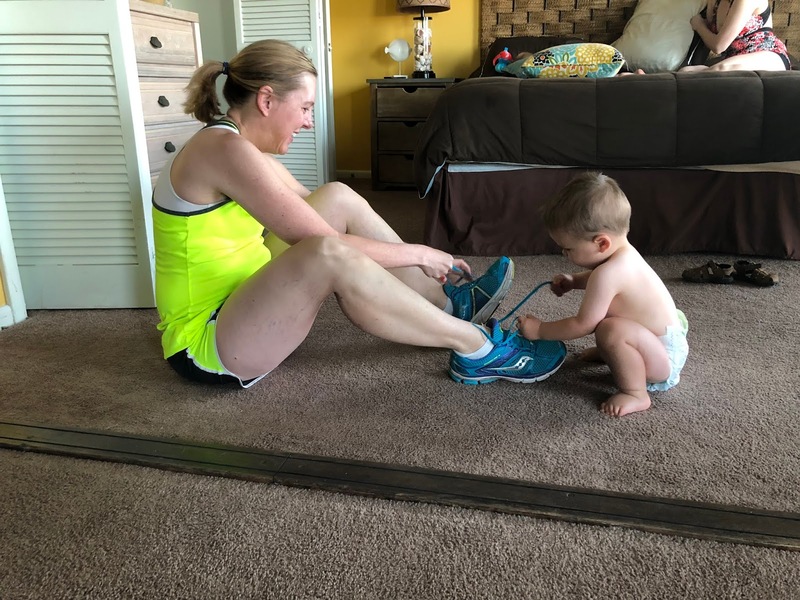 Last year, Preston was 5 months old, so while it was fun, let's be honest: I spent the trip upstairs in the condo while my baby napped. This year, however, my toddler wild child absolutely LOVED it! Seeing the world through your child's eyes is awesome, and watching him fall in love with the trip that I love so much was so neat. 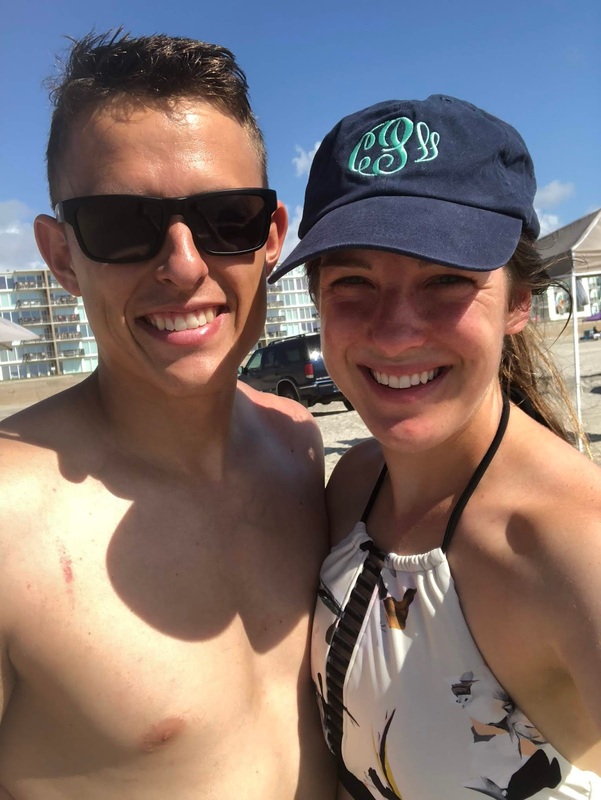 Here are a few highlights from our beach vacation! We always go to Snoopy's restaurant one of the first nights, so Preston and I did a mini photo shoot while we waited for our food. 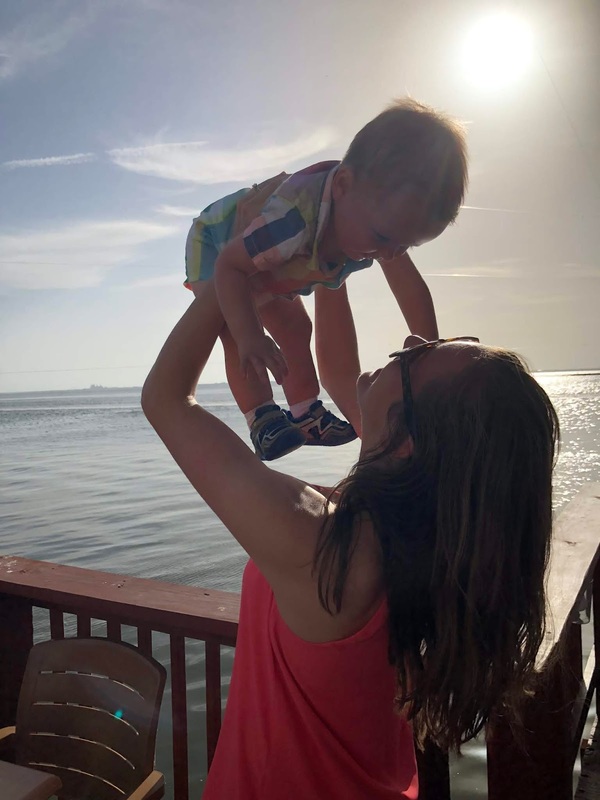 Sunsets, oceans, and babies... life is good. Aunt Natalie is so good with these babies. So thankful for her! 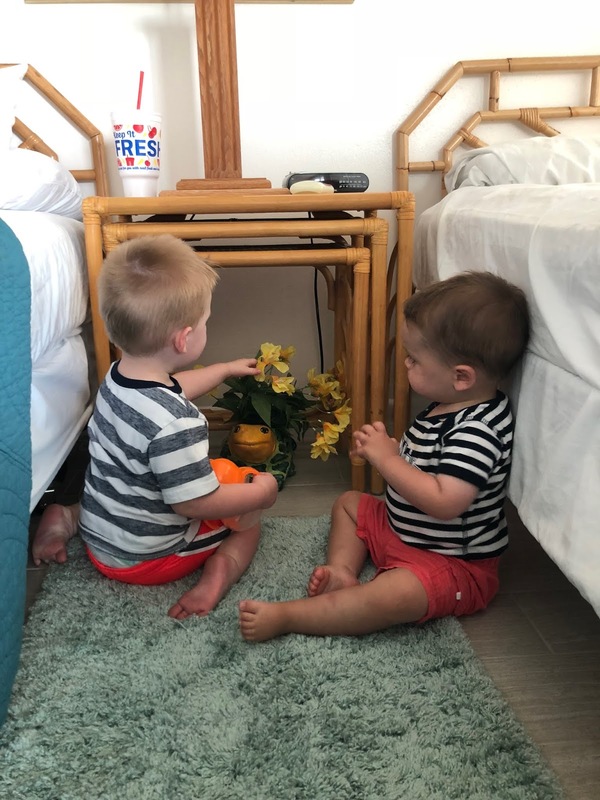 This might be the only picture from the trip where these two cousins were playing happily and independently... one day they will love each other. Right now, we will settle for the rare moments of peace. Nana and Grandaddy are the glue and what makes this trip possible each year. 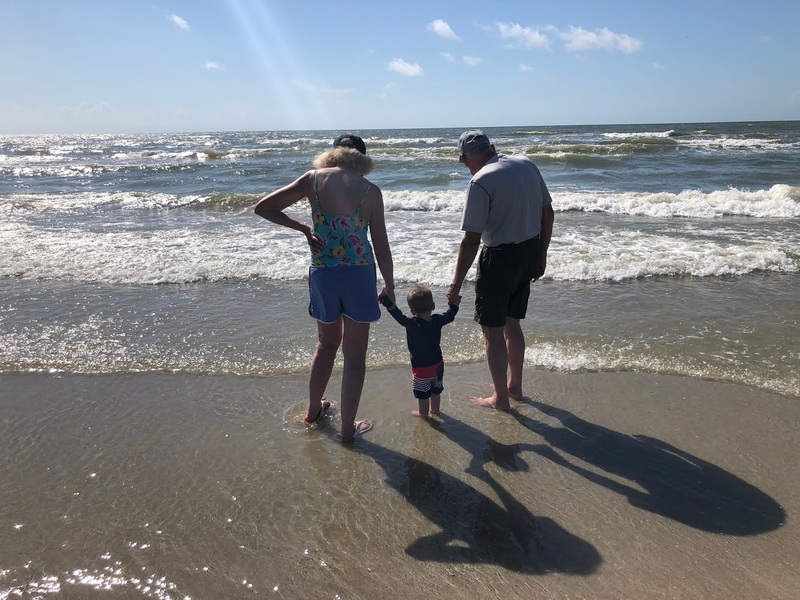 Loved this picture of them taking their youngest great-grandson out to the water. I'm a closet nerd and think puzzles are one of the best ways to bring people together. You sit and work a puzzle and just talk... I'll make a great 80 year old one day. 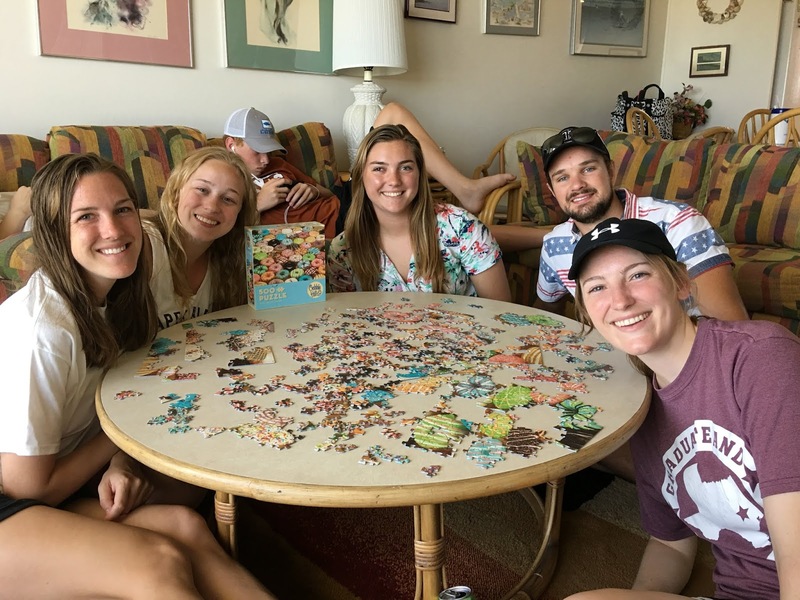 We brought two puzzles for the trip, and this was our puzzle crew! 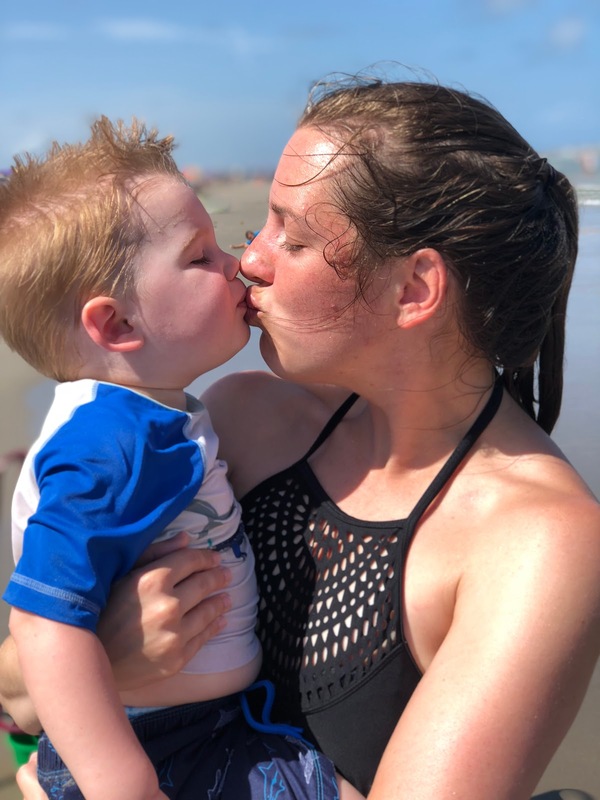 Being an aunt to this boy is one of my favorite parts of my life. I cannot express how much I love my sweet Emmett. My patriotic boys. 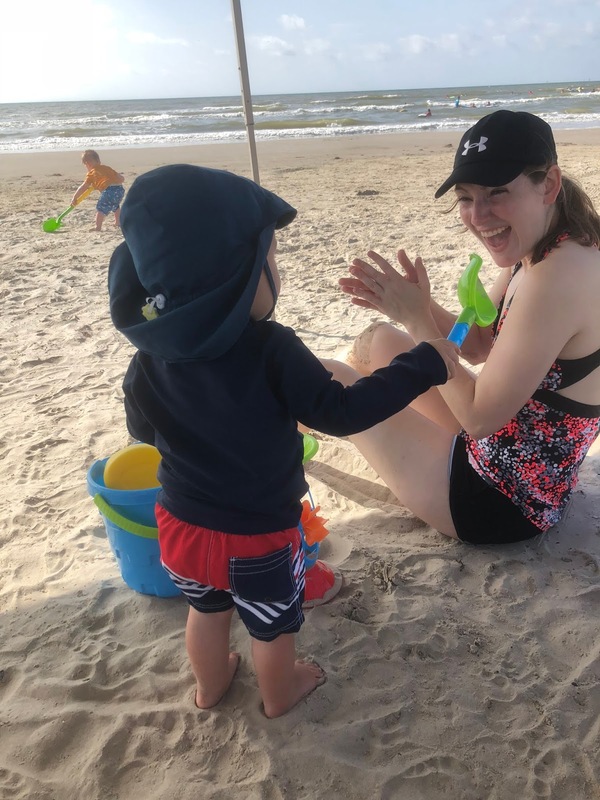 I gave Parker a hard time for his extreme Texas patriotism with those swim trunks, but we have probably seen 20 people this summer with the same shorts. 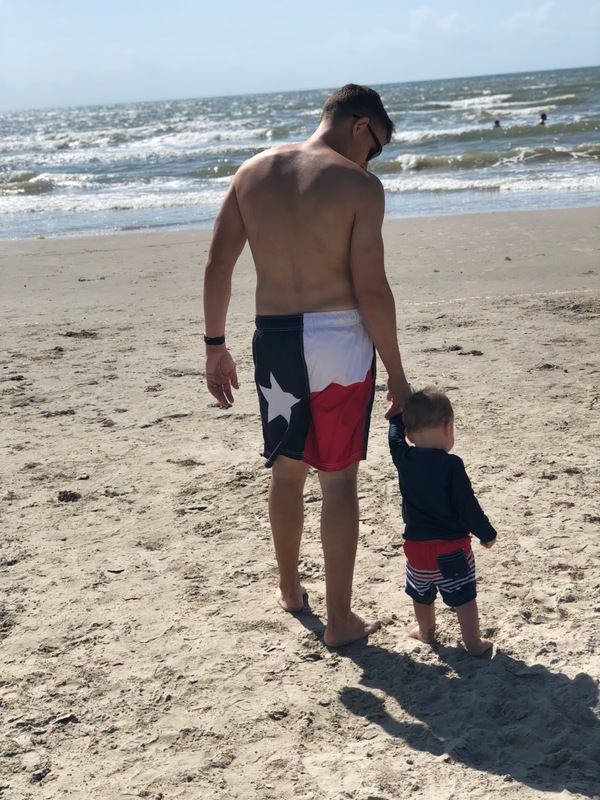 Texans love Texas... and $10 shorts from Walmart. Our whole group minus my uncle who was taking the picture! The original cousins before we all started getting married and having babies. After six girls, my cousin Jon finally broke the trend as the seventh and final grandchild. The suntans will fade, but the memories will last forever. It was a truly wonderful week. What an amazing trip with your family! So many special memories made.